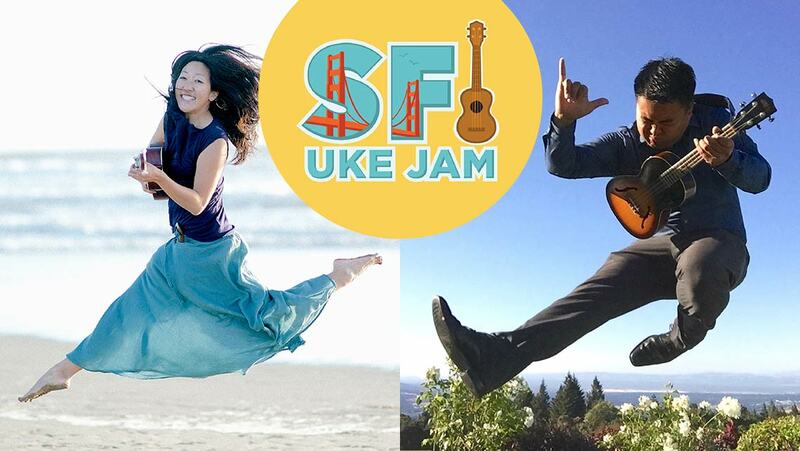 Come join YouTube ukulele stars Cynthia Lin and Ukulenny as they bring their popular SF Uke Jam event to Freight & Salvage for a special Holiday Uke Jam! Bring your ukulele and all your uke friends for an afternoon of singing and strumming to your holiday favorites, led by Cynthia and Ukulenny on stage with their SF Uke Jam backing band. Chord charts will be available for download as well as projected in the theater. Creator of the #100DaysofUkuleleSongs project, Cynthia Lin is a modern-day jazz ukulele diva based in San Francisco, California. Through her popular YouTube channel and approachable teaching style, Cynthia has helped thousands of people across the world to discover the joy of ukulele. As a singer-songwriter, Cynthia has released 4 album recordings independently and performs regularly solo, with a jazz combo, and with her acclaimed Bay Area band, Cynthia Lin and the Blue Moon All Stars. She encourages you to follow your passion.